I love travelling and mostly do it by driving as it provides me ample opportunities to explore lands, meet people and of course take photos, which is ardent a hobby as my passion for travelling. My recent Schengen countries tour in car was really exciting, interesting and memorable. But what about air travel? Well air travel is only an option when flying 'very' long distance flights. But I try to avoid flying for many reasons, specially the safety fears. Recently there have been a number of air crashes in the East Asia with no clues as to what went wrong. AS for the safety fears, I read an interesting and informative article in the Daily Mail which suggests that travelling in economy class is much safer than travelling in the hi-fi elite first and business classes. 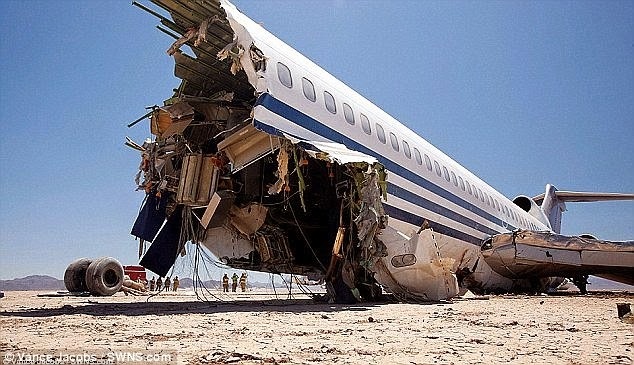 The articles proves that in many air crashes, that take on ground and not on sea, the forward portion of the fuselage gets destroyed and mostly leaving the rear of the fuselage intact where the economy class passengers travel.